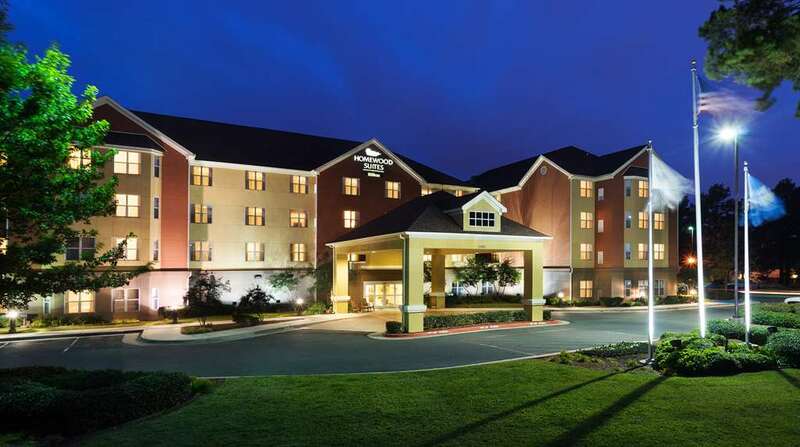 The Homewood Suites by Hilton Shreveport is the premier hotel choice if you are spending a couple of nights or a couple of weeks in Shreveport Louisiana. Our hotel is located in West Shreveport just off I-20 and only minutes from many local attractions * Independence Bowl * State Fair Grounds * The Louisiana Boardwalk * The Casino District * The Gardens of the American Rose Center * Festival Plaza The business traveler that might be looking for extended stay corporate accommodations will find our hotel is close proximity to many of the major local businesses. Some of these businesses are * General Motors * Schlumberger * Halliburton * Willis Knighton Hospital Centers * LSUS Our spacious studio one and two bedroom suites offer guests all of the comforts and amenities from home. In all of our suites you will find * A fully-equipped kitchen with a full-size refrigerator microwave stove and coffee maker * 32* flat screen HDTV * Sofa bed * Telephone with data ports and voice mail * Complimentary high-speed internet access If staying for an extended stay you will be happy to know that there is a complimentary Suite Start hot breakfast every morning a Welcome Home reception Monday through Thursday evenings complete with complimentary beverages and a light meal/local laws apply/ a 24-hour Suite Shop convenience store and a grocery shopping service. If planning a meeting the Homewood Suites by Hilton Shreveport also offers over 2 200 square feet of flexible meeting space complimentary high-speed internet access a 24-hour complimentary business center and audio-visual equipment rental. The Homewood Suites by Hilton Shreveport also offers many recreational activities to enhance your stay * Outdoor Heated Pool and Whirlpool * 24-hour Fitness Center * Outdoor Sport Court If you are staying in Shreveport for a short stay or for an extended period the Homewood Suites by Hilton Shreveport will work hard to make sure you feel right at home.